I am sure by now most of the readers here know I am a friend of Woodstock cartoons. 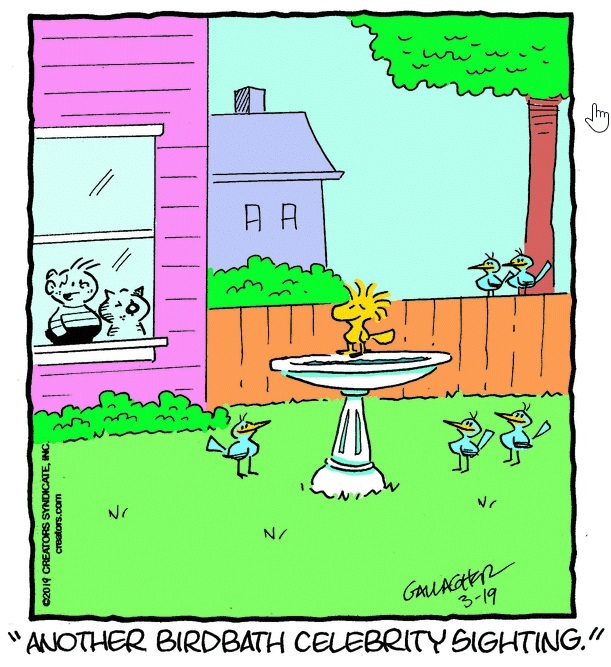 A few days ago, he showed up in Heathcliff’s bird bath. [I follow just 5 cartoons via email from ArcaMax.com], and today, Woodstock seems to have been shopping. Maybe he was out shopping the day he landed at Garfield’s. The first cartoon reminds me of how excited we birdwatchers become when a bird shows up in an area that is not its normal range. A few years back, 2014, here in Florida, many were reporting the Snowy Owl. 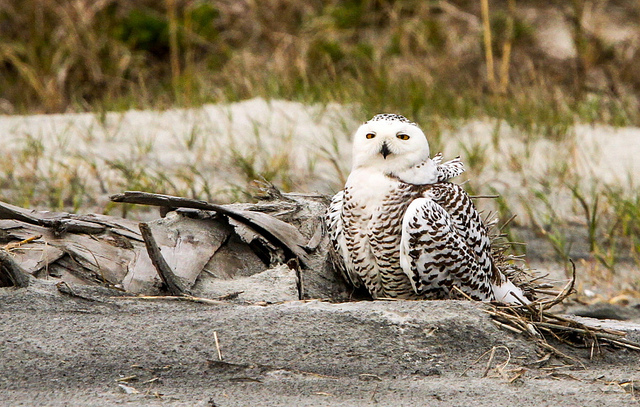 Birds of the Bible – Snowy Owl In Florida. 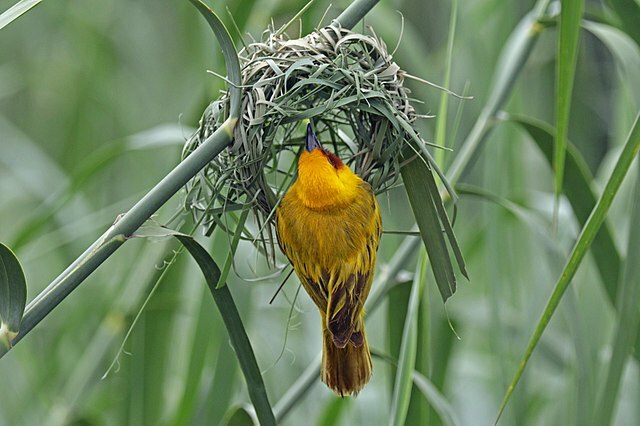 That poor bird has problems with nest, as has been shown before. Woodstock’s High-rise Nest. 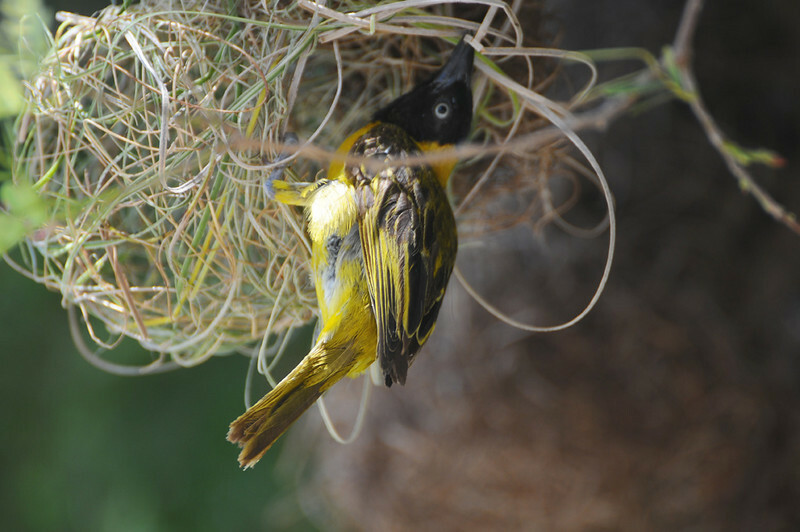 Have you ever seen a nest that was in need of repairs or better yet, replacement? The Weavers trying to make nest that can be quite entertaining. 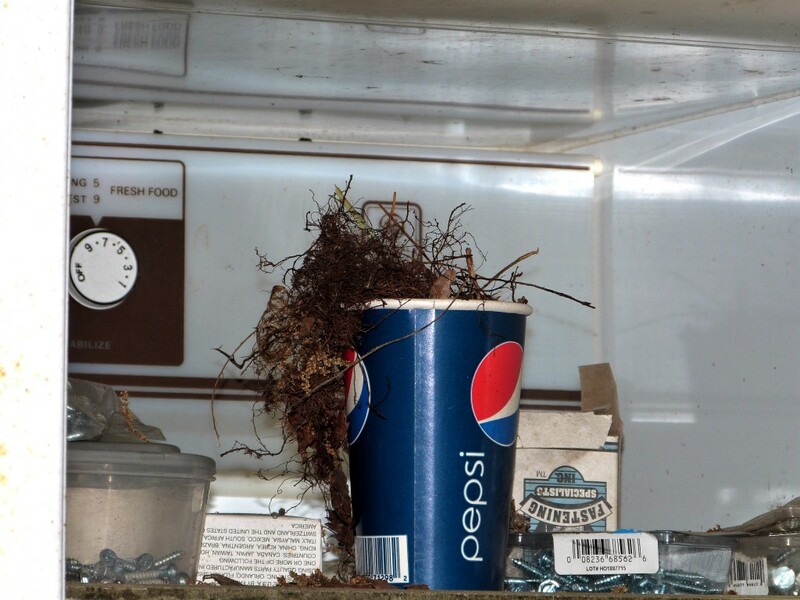 Wren nest in a Pepsi paper cup in my brother’s old refrigerator. The thought of Woodstock ordering a ready made nest is funny. Maybe he received that package from Amazon, or Fed EX. Not sure where he found one, it makes for a joyful laugh. We have enough bad news in this world. I trust you also take time to chuckle now and then. Our Salvation in the Lord does give us joy. He lets us enjoy “clean” fun. 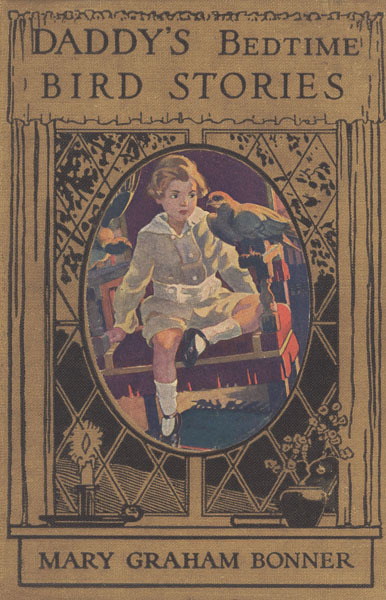 “To-night,” said daddy, “we are going to have the story of the meeting of the brownies, crows, and old Mr. Scarecrow. The crows had been giving feasts in a corn-field almost every morning bright and early before any of the big people who lived in the nearby farm-house were up. Such feasts as they did have! And one day they asked the brownies if they wouldn’t come to their next one. “‘Caw-caw,’ said the crows together. “‘Where are we going?’ asked one of the brownies teasingly, for they had been going around and around in circles and hadn’t reached any place. “‘But we thought you had chosen a special spot,’ said one of the brownies. “‘Who is he?’ shouted the brownies, for every little while Black Crown Crow had gone ahead and then had come back. In these little trips he had seen right in the center of the corn-field a man—a real man, he thought, with a hat and a coat and trousers and boots—and carrying something which he couldn’t quite make out. It was either a great huge stick—or worse still—it was a gun. He shivered whenever he thought of that awful word gun. “And the brownies scampered about a little grove near the corn-field, and there they made a bonfire over which they cooked some corn-meal which they had carried with them in their bags. They knew all along, ever since they’d started, where the crows wanted them to go for the feast, and they also knew that the farmer had made that scarecrow in his corn-field to frighten off Black Crown Crow and his followers. Looks like the Brownies, helped out the “exasperated” Crows and had a good laugh at the same time. The farmer was only trying to protect his crop and the crows were only trying to eat. The Farmer had a right to protect his food. The Crows were afraid of something that wasn’t really frightening. The Brownies were helpful and provided food for them. 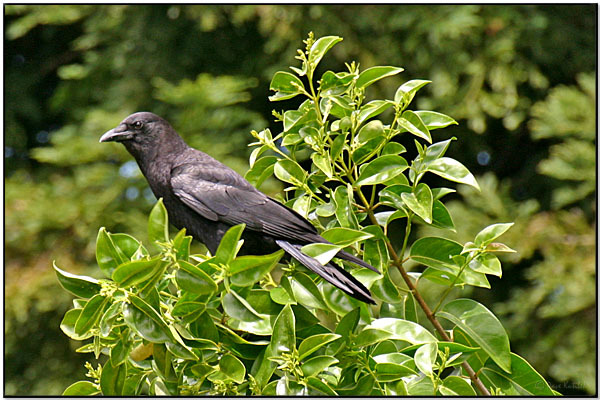 This verse tells us that God will provide for the Ravens (and Crows, which are in the same bird family). The Crows may need to go to another field where they can be provided for. Also, are you ever afraid of something, that isn’t really scary? 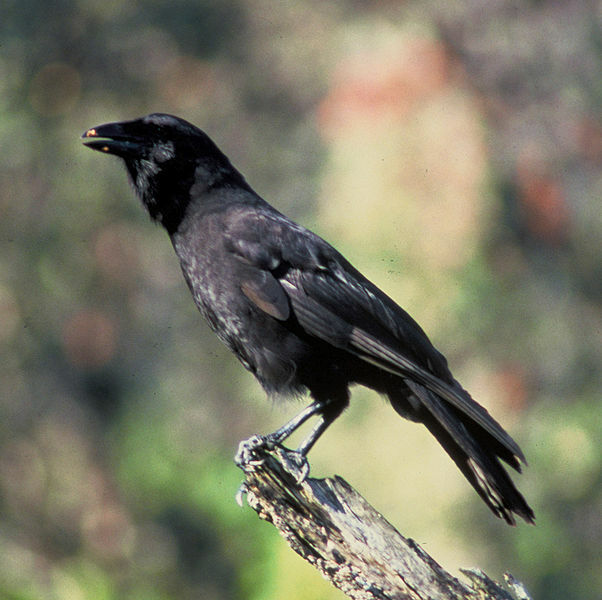 If the Lord feeds the Crows and other birds, He provides for us and also helps our fears. 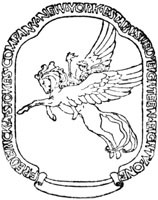 These stories first appeared in the American Press Association Service and the Western Newspaper Union. Many of the sketches in this volume are the work of Rebecca McCann, creator of the “Cheerful Cherub,” etc. While we were at Lowry Park Zoo last week, we also had the joy of hearing the Laughing Kookaburra (Dacelo novaeguineae) sounding off with its mate. Seems like the Myna birds and the singing dogs were not the only ones in a happy mood. The two Kookaburras got to “laughing” also. They sort of set the tone to put you a joyful mood. I have always enjoyed seeing the Kookaburras. When we were at the National Aviary I tried recording them, but by the time I got the camera on, they stopped. I recorded them this time but didn’t get the camera focused on them until about half way through. Oh, the challenges of birdwatching! Well, at least trying to get a recording to use on the blog anyway. 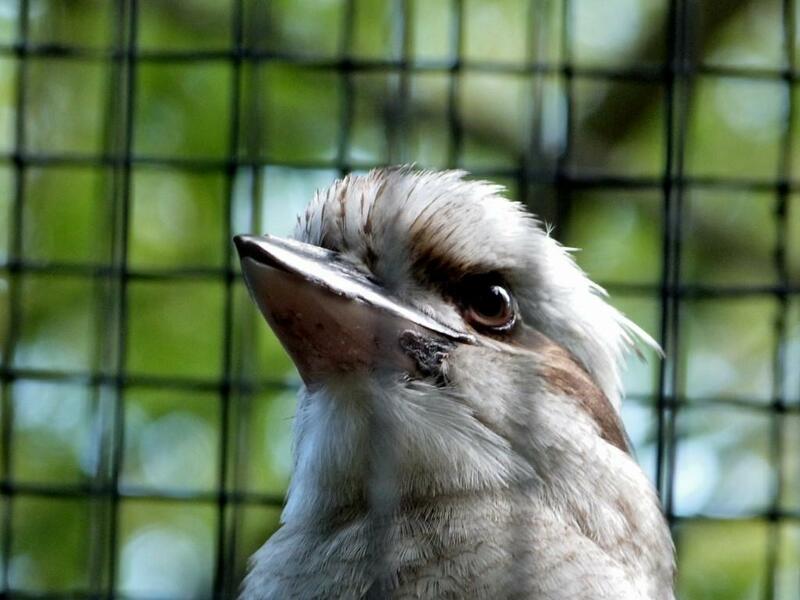 When you put all the events together; the singing Bali Myna, the singing dogs, and these singing Kookaburras, it brings to mind a story in the Bible. When Paul and Silas where in prison, (behind bars) they were joyful just the same. All of these critters plus the men (Paul and Silas) are behind bars, yet they are joyful and carrying on with their lives. Could there be a lesson there for us to learn and observe? We all have things come into our lives, but our attitude affects how well we handle those circumstances. Prayer is one of the best ways to find peace in the midst of trials. Knowing the Lord Jesus Christ as personal Savior is the absolute best way. I trust you know Him. This video has two of my photos to cover the blurred part, but the sound is the whole recording. The Laughing Kookaburra (Dacelo novaeguineae) is a carnivorous bird in the kingfisher family Halcyonidae. Native to eastern Australia, it has also been introduced to parts of New Zealand, Tasmania and Western Australia. 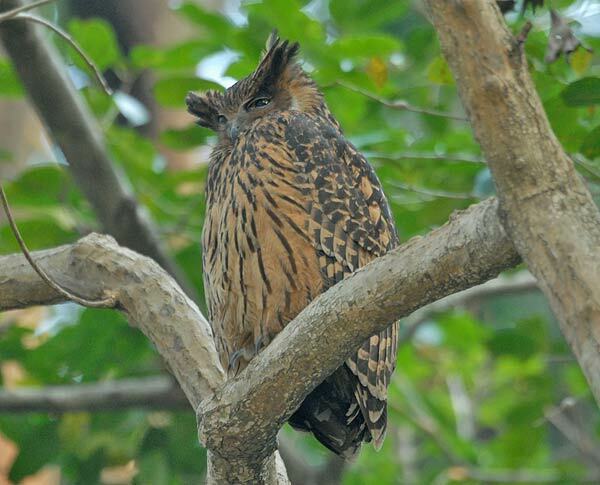 Male and female adults are similar in plumage, which is predominantly brown and white. A common and familiar bird, this species of kookaburra is well known for its laughing call.